Fudzilla has scored some exclusive details about the coming AMD Zen chip that will have as much as 32 cores, 64 threads and more L3 cache than you can poke a stick at. Codenamed Naples, the chip uses the Zen architecture. Each Zen core has its own dedicated 512kb cache. A cluster [shurely that should be cloister.ed] of Zen cores shares a 8MB L3 cache which makes the total amount of L3 shared cache 64MB. 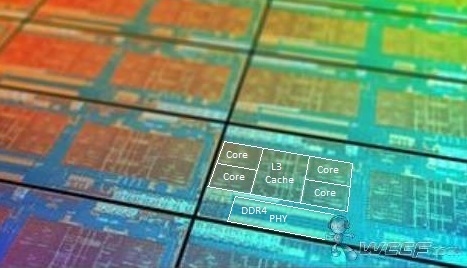 This is a big chip and of course there will be a 16 core variant. This will be a 14nm FinFET product manufactured in GlobalFoundries and supporting the X86 instruction set. Naples has eight independent memory channels and up to 128 lanes of gen 3 PCIe. This makes it suitable for fast NVMO memory controllers and drives. Naples also support up to 32 SATA or NVME drives. If you like the fast network interface, Naples supports 16x10GbE and the controller is integrated, probably in the chipset. Naples is using SP3 LGA server socket. The first Zen based server / enterprise products will range between a modest 35W TDP to a maximum of 180W TDP for the fastest ones. 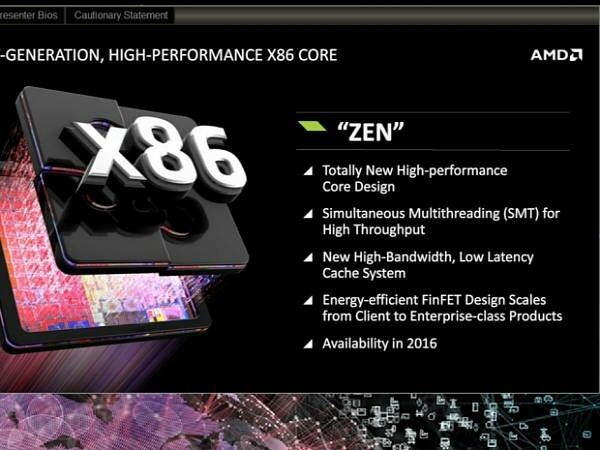 There will be dual, quad, sixteen and thirty-two core server versions of Zen, arriving at different times. Most of them will launch in 2017 with a possibility of very late 2016 introduction. It is another one of those Fudzilla told you so moments. We have already revealed a few Zen based products last year. The Zen chip with Greenland / Vega HBM2 powered GPU with HSA support will come too, but much later. Lisa Su, AMD’s CEO told Fudzilla that the desktop version will come first, followed by server, notebook and finally embedded. If that 40 percent IPC happens to be across more than just a single task, AMD has a chance of giving Intel a run for its money.